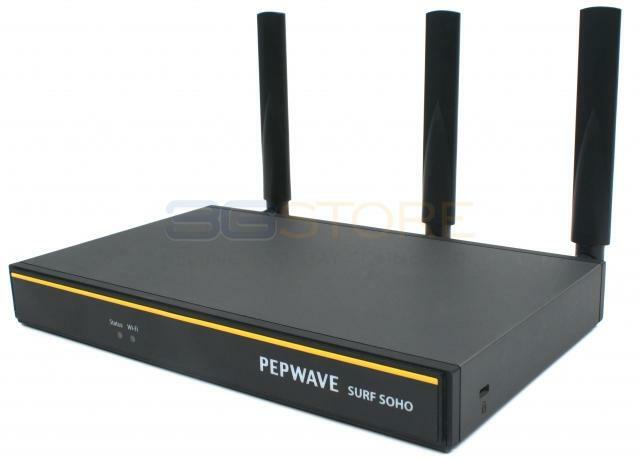 Congrats to WMKG-TV, L. of MUSKEGON, Michigan who just won a $25.00 Restaurant.com gift code for writing a review for Pepwave Surf SOHO MK3 Router with 802.11ac WiFi at 3Gstore.com! Every week we randomly pick one product review from the previous week and award the writer a $25.00 gift code. We appreciate ALL the reviews our customers write, whether they are positive or negative - honest reviews like WMKG-TV, L.\'s help other customers decide if the product is right for them. After you purchase a product from 3Gstore.com, we encourage you to log in and 3Gstore.com and leave a review letting people know how the product worked for you - you'll be helping others, and you'll automatically be entered to win a restaurant.com gift code!. Congrats to Charles M. of Rolling Meadows, Illinois who just won a $25.00 Restaurant.com gift code for writing a review for Drop-In Mode License for Pepwave Max BR1 at 3Gstore.com! Every week we randomly pick one product review from the previous week and award the writer a $25.00 gift code. We appreciate ALL the reviews our customers write, whether they are positive or negative - honest reviews like Charles M.\'s help other customers decide if the product is right for them. After you purchase a product from 3Gstore.com, we encourage you to log in and 3Gstore.com and leave a review letting people know how the product worked for you - you'll be helping others, and you'll automatically be entered to win a restaurant.com gift code!. Drop In Mode is the greatest feature. No changes to the existing infrastructure needed just pop it and it works like a charm! Love it! 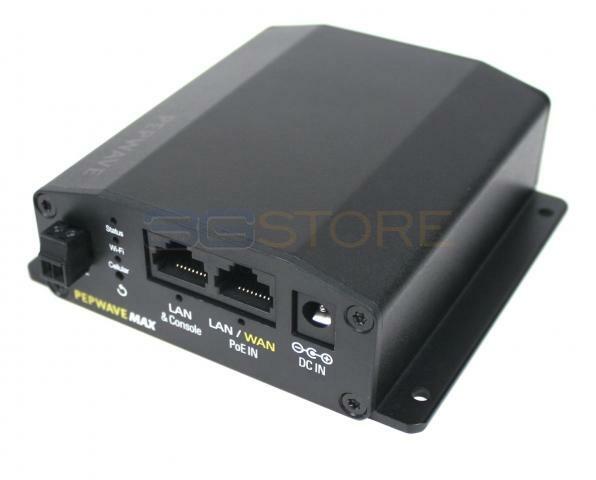 Congrats to Chris V. of Brooklyn, New York who just won a $25.00 Restaurant.com gift code for writing a review for Pepwave Max On-The-Go 3G/4G USB Router with Load Balancing Hardware Revision 2 at 3Gstore.com! Every week we randomly pick one product review from the previous week and award the writer a $25.00 gift code. We appreciate ALL the reviews our customers write, whether they are positive or negative - honest reviews like Chris V.\'s help other customers decide if the product is right for them. After you purchase a product from 3Gstore.com, we encourage you to log in and 3Gstore.com and leave a review letting people know how the product worked for you - you'll be helping others, and you'll automatically be entered to win a restaurant.com gift code!. Congrats to Mark W. of Box Elder, South Dakota who just won a $25.00 Restaurant.com gift code for writing a review for Pepwave Surf SOHO MK3 Router with 802.11ac WiFi at 3Gstore.com! Every week we randomly pick one product review from the previous week and award the writer a $25.00 gift code. We appreciate ALL the reviews our customers write, whether they are positive or negative - honest reviews like Mark W.\'s help other customers decide if the product is right for them. After you purchase a product from 3Gstore.com, we encourage you to log in and 3Gstore.com and leave a review letting people know how the product worked for you - you'll be helping others, and you'll automatically be entered to win a restaurant.com gift code!. Purchased in July of 2017. Fulltime RVer. Excellent router for our needs. We usually have the AT&T jetpack hooked up to it via USB cable, and then it can connect wirelessly to our Verizon MiFi, AT&T Mobley, or the hotspot on my T-Mobile phone. Easy to prioritize which data connection the router uses 1st, 2nd, 3rd. Wouldn't hesitate in buying it again if needed. 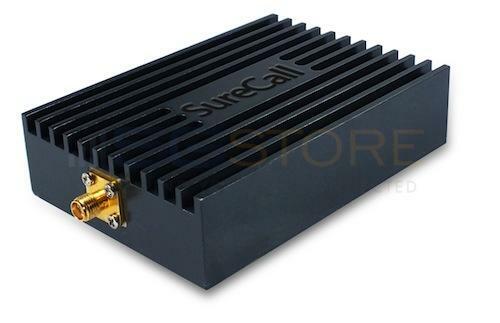 Congrats to Joshua G. of Chunchula, Alabama who just won a $25.00 Restaurant.com gift code for writing a review for SureCall AT&T 4G LTE Direct Connect Amplifier w/ Mag Mount Antenna [700Amhz] at 3Gstore.com! Every week we randomly pick one product review from the previous week and award the writer a $25.00 gift code. We appreciate ALL the reviews our customers write, whether they are positive or negative - honest reviews like Joshua G.\'s help other customers decide if the product is right for them. After you purchase a product from 3Gstore.com, we encourage you to log in and 3Gstore.com and leave a review letting people know how the product worked for you - you'll be helping others, and you'll automatically be entered to win a restaurant.com gift code!. Congrats to Matthew N. of Rome, Georgia who just won a $25.00 Restaurant.com gift code for writing a review for Pepwave MAX BR1 Mini with Cat 6 LTE Advanced Modem at 3Gstore.com! Every week we randomly pick one product review from the previous week and award the writer a $25.00 gift code. We appreciate ALL the reviews our customers write, whether they are positive or negative - honest reviews like Matthew N.\'s help other customers decide if the product is right for them. After you purchase a product from 3Gstore.com, we encourage you to log in and 3Gstore.com and leave a review letting people know how the product worked for you - you'll be helping others, and you'll automatically be entered to win a restaurant.com gift code!. I've only been using this for a week but it's worked very well for me. I live in a rural area where my only internet access is Satellite or Cellular. This gives me the option to pursue the best service my family. 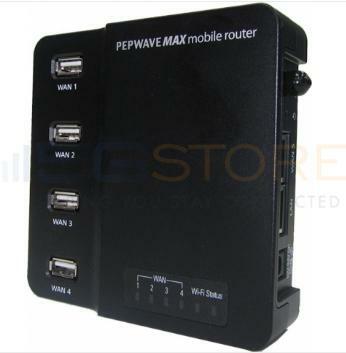 Congrats to Gerlens C. of Mattapan, Massachusetts who just won a $25.00 Restaurant.com gift code for writing a review for Pepwave MAX BR1 Mini with North America 3G/4G/LTE Modem at 3Gstore.com! Every week we randomly pick one product review from the previous week and award the writer a $25.00 gift code. We appreciate ALL the reviews our customers write, whether they are positive or negative - honest reviews like Gerlens C.\'s help other customers decide if the product is right for them. After you purchase a product from 3Gstore.com, we encourage you to log in and 3Gstore.com and leave a review letting people know how the product worked for you - you'll be helping others, and you'll automatically be entered to win a restaurant.com gift code!. Congrats to EltaMae F. of CASA GRANDE, Arizona who just won a $25.00 Restaurant.com gift code for writing a review for SureCall 9.5 Inch Wideband Outdoor Omnidirectional 3G/4G/LTE Antenna (Cables Sold Separately) at 3Gstore.com! Every week we randomly pick one product review from the previous week and award the writer a $25.00 gift code. We appreciate ALL the reviews our customers write, whether they are positive or negative - honest reviews like EltaMae F.\'s help other customers decide if the product is right for them. After you purchase a product from 3Gstore.com, we encourage you to log in and 3Gstore.com and leave a review letting people know how the product worked for you - you'll be helping others, and you'll automatically be entered to win a restaurant.com gift code!. Congrats to Matt W. of Lindale, Texas who just won a $25.00 Restaurant.com gift code for writing a review for Pepwave MAX BR1 Mini with North America 3G/4G/LTE Modem at 3Gstore.com! Every week we randomly pick one product review from the previous week and award the writer a $25.00 gift code. We appreciate ALL the reviews our customers write, whether they are positive or negative - honest reviews like Matt W.\'s help other customers decide if the product is right for them. After you purchase a product from 3Gstore.com, we encourage you to log in and 3Gstore.com and leave a review letting people know how the product worked for you - you'll be helping others, and you'll automatically be entered to win a restaurant.com gift code!. First impressions is impressive. My family gets internet through a Sprint non-profit organization. At first, it was not able to hold a connection, but after upgrading the firmware, it has no trouble holding the connection. I needed to download the firmware through a different internet connection because the device connection was sporadic. Now its consistent. I ran various speed tests from ookla, fast, speedof. me, etc. and results were about x2 - x6 faster over the Franklin r850 mobile hotspot. At peak usage times (6-10pm) my speeds improved from 0.2Mbps to 3Mbps.